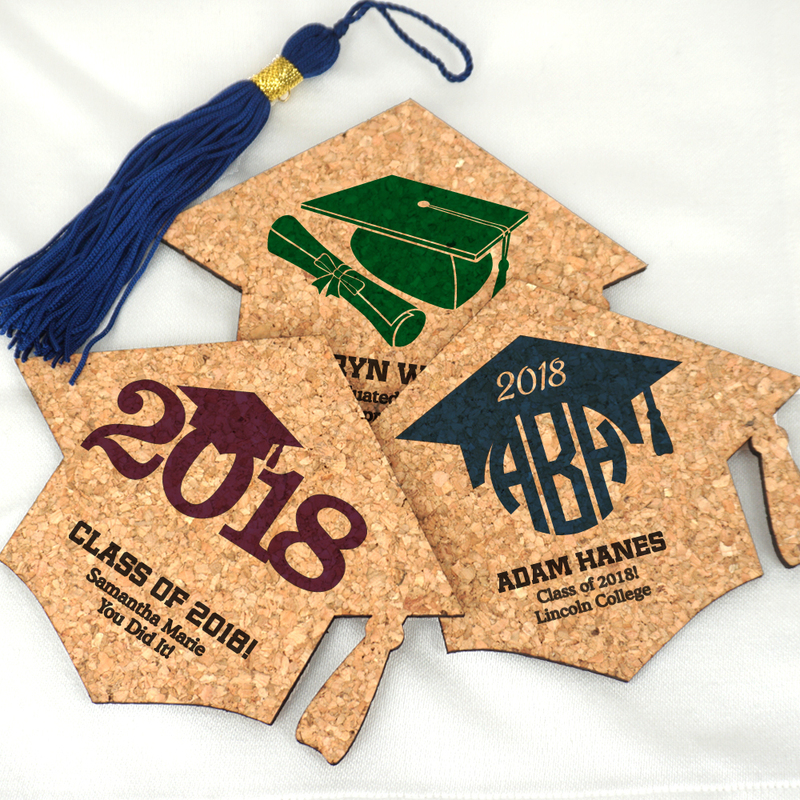 Uniquely shaped like a graduation cap, these personalized graduation cork coasters are an adorable and fuctional guest souvenir for your celebration. A great way to incorporate an all-natural, customized touch to any event table. Each coaster is shaped like a classic graduation mortar board cap, is printed with a graduation design, and can be customized with up to three lines of text. Made from durable, all-natural cork. Since these cork coasters are all-natural, they can vary in color and thickness.